Todd Kerns- actor, writer, what can I say, he is a man of many trades. But I know him as Todd Kerns: musical genius. If you don’t know who Todd is yet, you will definitely want to after hearing his new solo album, Borrowing Trouble. Kerns is no stranger to all this independent,-try-it-on-my-own business. 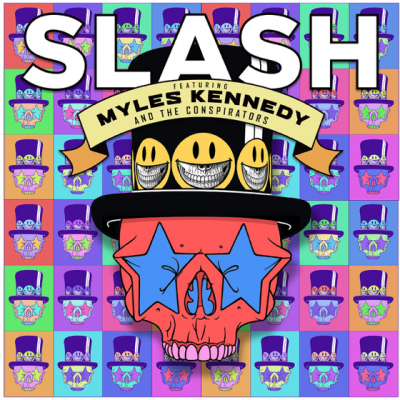 He is currently the bassist for Slash’s solo band, Slash featuring Myles Kennedy and the Conspirators. Not to mention, Borrowing Trouble is his second solo record, with 2004’s Go Time! being his first. But take note Todd Kerns fans, Borrowing Trouble is different from Go Time, because Todd seems to steer this record in the acoustic direction. An artistic turn that was well taken, if I may add. Contrary to the title, you will not want to just “borrow” this album. I for one, know I will be keeping my copy all to myself!